Can I use formulaic expressions in IELTS Writing and Speaking? Read more "Can I use formulaic expressions in IELTS Writing and Speaking?" Read more "Discussing ‘nature’ vs ‘nurture’ in IELTS Writing and Speaking"
Read more "Using linkers appropriately in IELTS Writing"
Read more "Discussing compassion in IELTS Writing and Speaking"
Read more "Common IELTS Topic: GM Food Production"
Are you taking “smart” pills for the IELTS? Read more "Are you taking “smart” pills for the IELTS?" 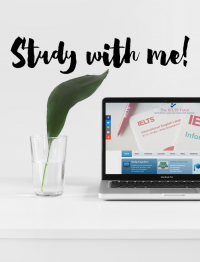 Read more "Using ‘it’ clauses in IELTS Writing Task 2"
Read more "How to correctly approach an IELTS essay"
Read more "Why you should always focus on quality in the IELTS test"